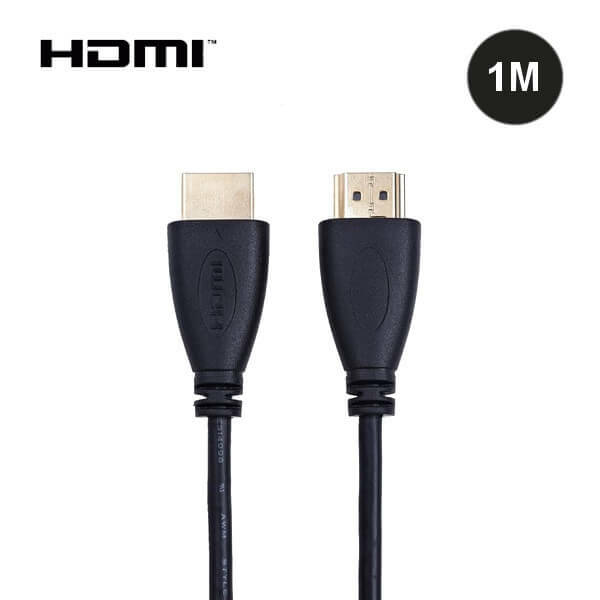 Our High Speed HDMI Cable (1m) will allow the transfer of crisp video and sound. The HDMI connector is small, which makes it is ideal for installers and in-wall use. HDMI cables can be used with your HDTV's, DVD players, game consoles, PCs, laptops, monitors, cable and satellite set top boxes and DVRs. This cable conforms to the latest HDMI version. • Gold-plated connectors for highest signal transfer rate and resistance in corrosion.